After testing a series of Android 8.0 builds, Essential hit the reset button and jumped to Android 8.1 Oreo. 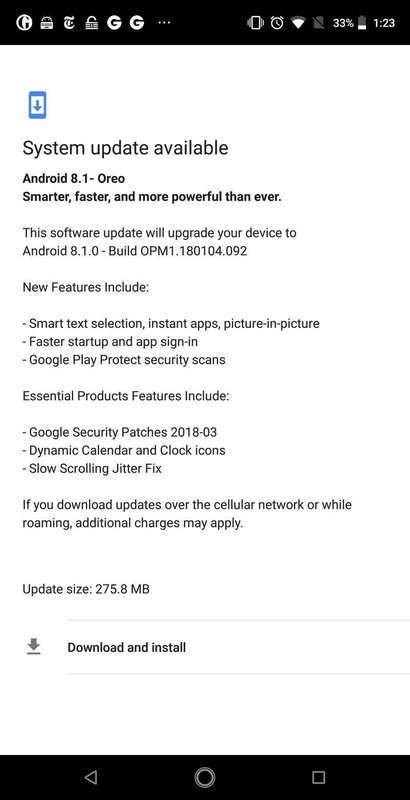 The beta program didn't last long, as Essential has now released the official 8.1 update to the masses. The features from the 8.0 betas are all still there, plus a few goodies specific to the updated version. We'll highlight the standouts here. Essential's reason for jumping to 8.1 was that 8.0 had several stability problems that they believed were addressed with the small update. So nothing major, but it's good that Andy Rubin & Co. are getting their flagship on the latest and greatest Android version this quickly. Alongside the update, Essential continues to address bugs and performance issues, including a fix for scrolling jitter and updated security patches. This update includes a new Settings layout. Gone is the hamburger menu that was introduced with Android 7.0 Nougat. Instead, each menu is compressed to better present the information that the user needs. While most of the changes are minor, a few menus have been revamped. For example, the Battery menu includes an icon reflecting current battery life, and screen-on-time is on the main menu as well. Another major redesign is Accessibility. The Downloaded Services section now shows an icon next to each eligible app. The addition of icons continues throughout the menu, helping users better identify each option. The navigation buttons have received a change in their design to help stress the Google Assistant. The back and recent apps buttons have been reduced in size in comparison to the home button. The home button received an additional circle providing more emphasis on the button, which brings up the Google Assistant when long-pressed. 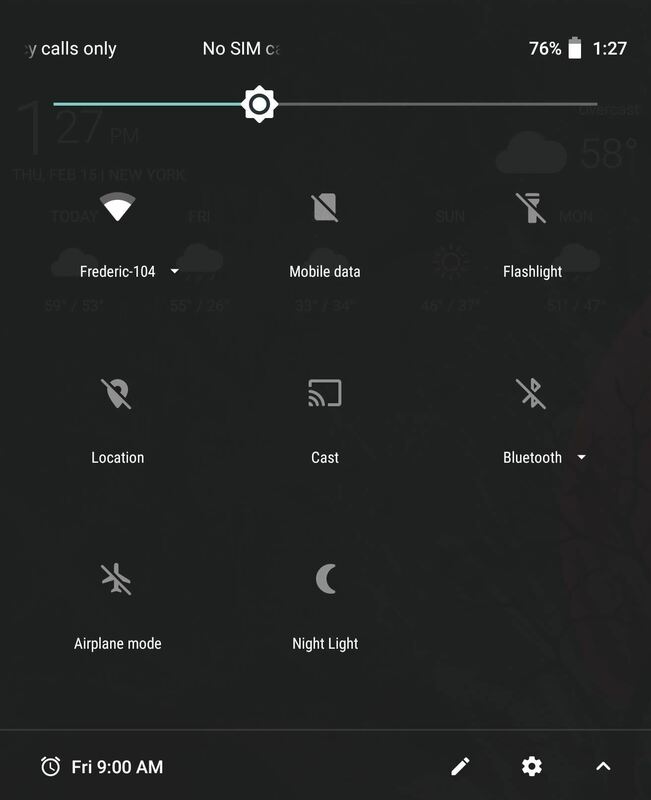 Now, your Quick Settings pull-down menu will automatically change color based on your home screen background. 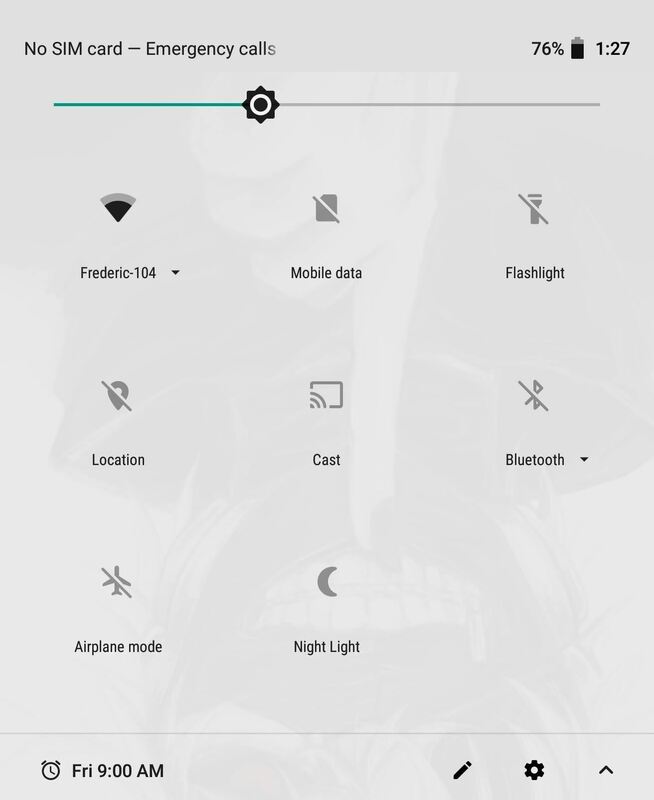 Whenever you use a darker wallpaper, the Quick Settings will change the background color to black to match. However, for all other colors, the menu will display a white background instead. The Quick Settings menu is also semi-transparent now, allowing users to somewhat see the previous screen. This feature is visible with either background color and offers a small change to the Quick Settings. One of the more exciting features introduced with Android 8.1 Oreo is a battery indicator for Bluetooth accessories. While this feature has been a part of iOS and select OEM skins for a while, stock Android was never able to effectively monitor the battery life of Bluetooth devices until now. In your Quick Settings, after connecting to a battery-powered Bluetooth device, a battery icon will appear to the right of the Bluetooth icon representing the battery life of the accessory. By selecting the text below (which displays the name of the connected device), you'll see a list of connected devices along with the battery percentage of each. 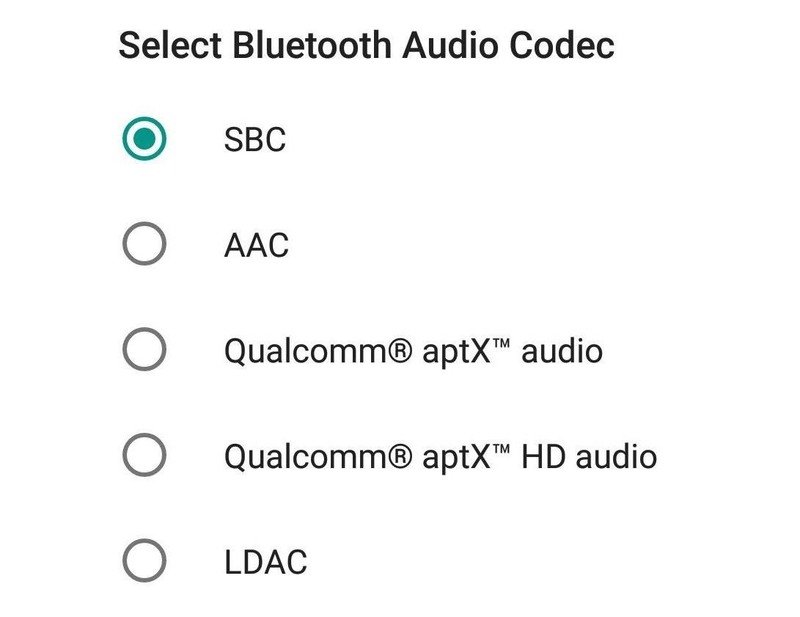 With so many phones removing the headphone jack lately (including the PH-1), Android has worked to improve the quality and experience of Bluetooth audio. There have been a number of Hi-Fi codecs created by companies before, however, only a select number of Android phones supported them. Now, this is no longer the case. With the update, Essential users can now enjoy Hi-Fi audio codecs such as aptX HD and LDAC, depending on which is used by your headphones. While not equivalent in sound to wired headphones, they do offer a better experience compared to devices which don't support the codecs. 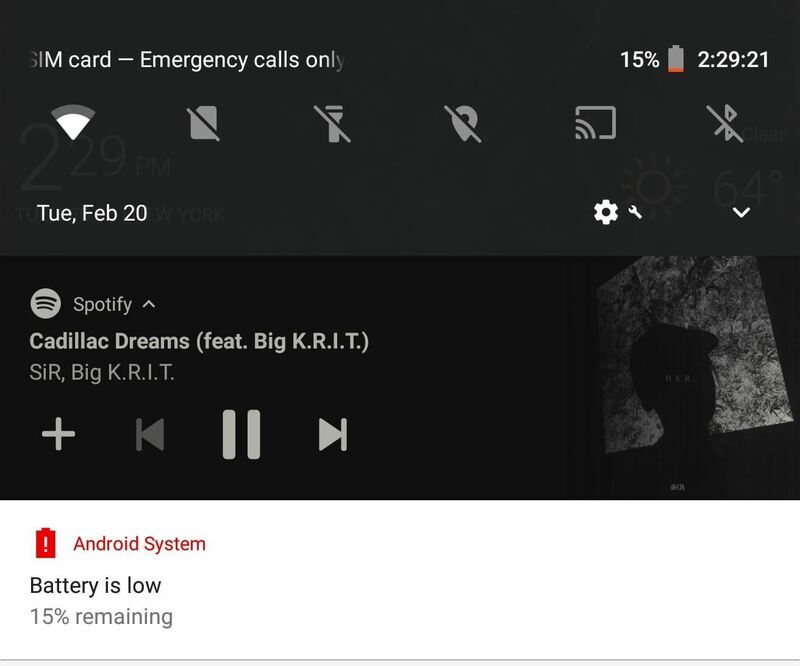 One of the few annoyances that came with Android 8.0 was a set of "Running in the Background" and "Drawing Over Other Apps" notifications. While their intent was to help protect users from battery consuming apps, the problem was when this was unnecessary. For example, my password manager remains active in the background so I can quickly enter and exit it throughout the day. With Android 8.0, I received a static notification informing me that it's "running in the background" and therefore consuming battery. Unlike other notifications, I couldn't dismiss this permanently. Unless I gave up the convenience of my password manager, I was forced to deal with this notification. Google heard the cries from the community and fixed this problem by building in the ability to stop this notification. Check out the link below for a quick guide on how to accomplish this. As you may have noticed with previous Android 8.0 beta releases, Android Oreo didn't have a true easter egg. In past versions, by tapping the "Android Version" entry under "About Phone," you'd reveal an easter egg reflecting the dessert-based update. However, Android 8.0's "easter egg" was an underwhelming orange "O." 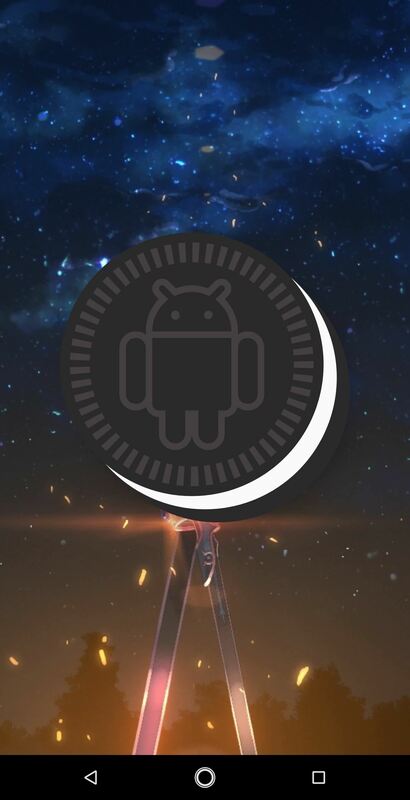 Android 8.1 changes that, giving users the image they expected, Oreos. The popular snack cookie is now revealed with a bonus. 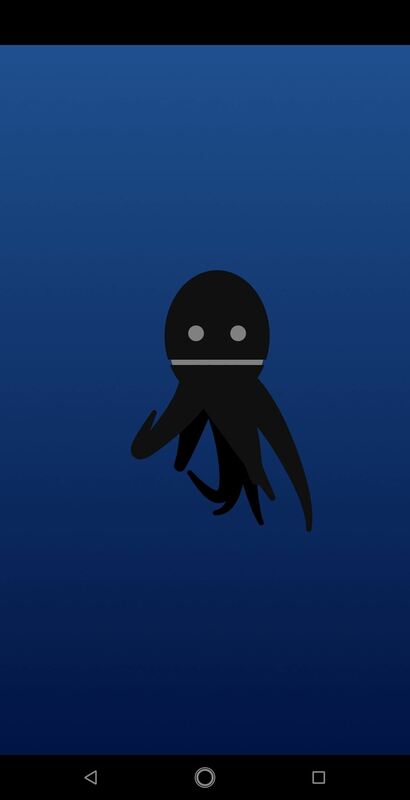 After tapping and long-pressing on the Oreo logo, you reveal an Octopus in water which you can drag around the screen. What does an Octopus have to do with Oreos? Who knows, but is it cool? Absolutely! 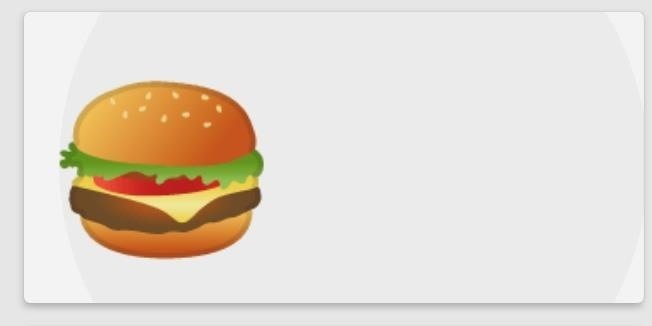 The great outcry of the Android 8.0 beta for Essential PH-1 users has been cheese on the Cheeseburger emoji. No longer is the cheeseburger disrespected by placing the cheese underneath the patty. With 8.1, Essential fixed this by placing the cheese on the top as it always should have been. Life is complete now. While this feature is limited to Essential's default launcher, the clock and calendar icons will adjust depending on the time and day. Instead of the default 31st on the calendar app, the icon will now alter based on the actual day of the month, while the clock will show the current time. It a small change, but one that's definitely appreciated. 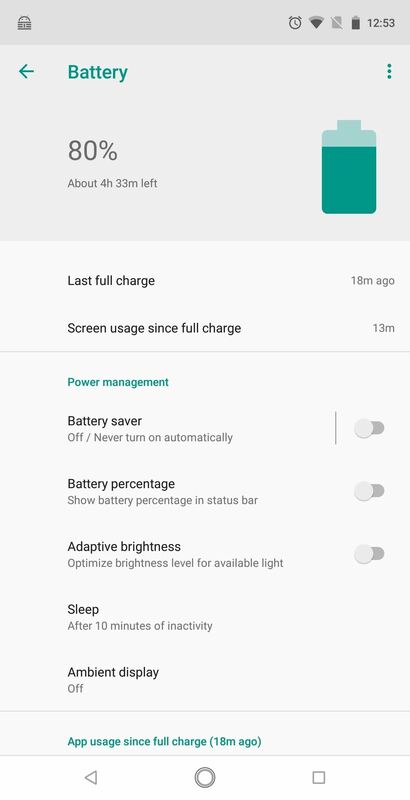 With Android 8.1 Oreo, the power menu has been altered, with one of the more noticeable changes being its reduced size. In addition, it fades in from the right edge of the display (near the top). While it offers little in terms of function, it a welcome cleaner change to the menu. Another aesthetic change introduced with Android Oreo is the new music playback controls in the notification shade. The colors change based on the cover art of the song playing. Each element will attempt to match the cover art's color scheme, creating an eye-catching notification that is easy to identify in a crowded notification shade. Probably one of the biggest front-end changes in Android 8.0 was the inclusion of picture-in-picture mode. 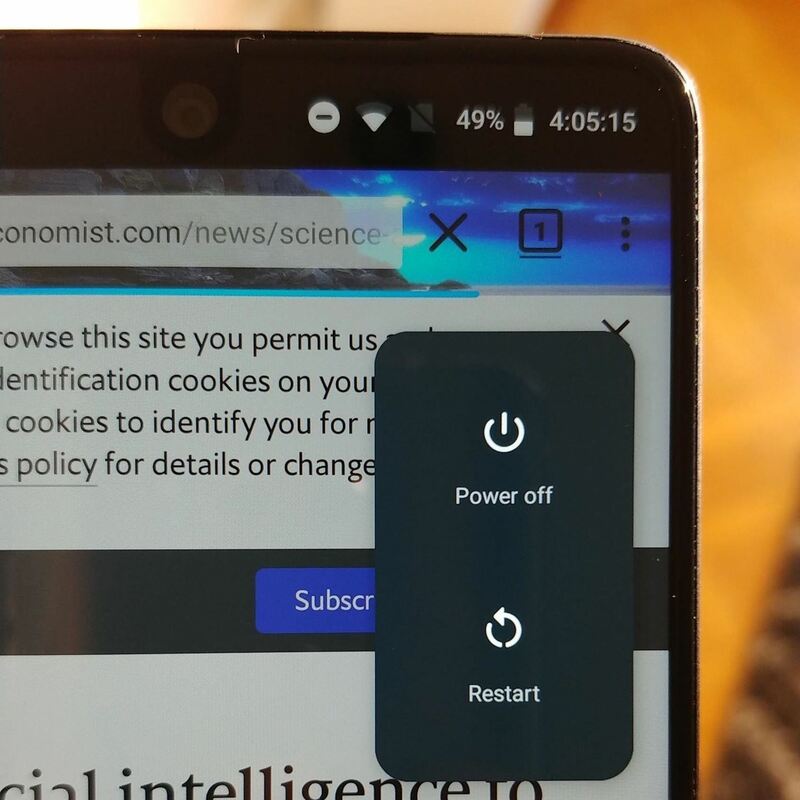 While watching a video or receiving turn-by-turn directions, you could reduce the content to a small floating window by just pressing the home button. While this feature is still present, Netflix is now among the supported apps in in Essential's Android 8.1 update. Netflix decided that it wouldn't support PiP mode without the absolute latest version of Android. Fortunately, with the latest build, Essential users don't have to worry. With Android 8.1, Essential has added the full Emoji 5.0 list. With this update comes 70 new emojis along with skin tones for human emojis. Some standout additions include Face Vomiting, Star-Struck, and Breastfeeding. Some of the new emojis included with the Oreo update. 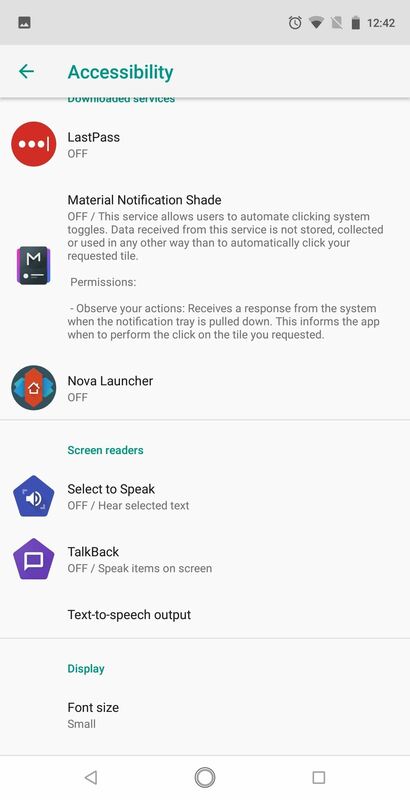 Additional notification controls are present in 8.1. Essential users can temporarily dismiss an individual notification, which will return at a later time. The length of the snooze can be altered, allowing users to control when they want to deal with certain notifications. No longer do Essential users need third-party apps to use fingerprint scanner gestures. Built into Android 8.1 is the ability to swipe down for notifications. 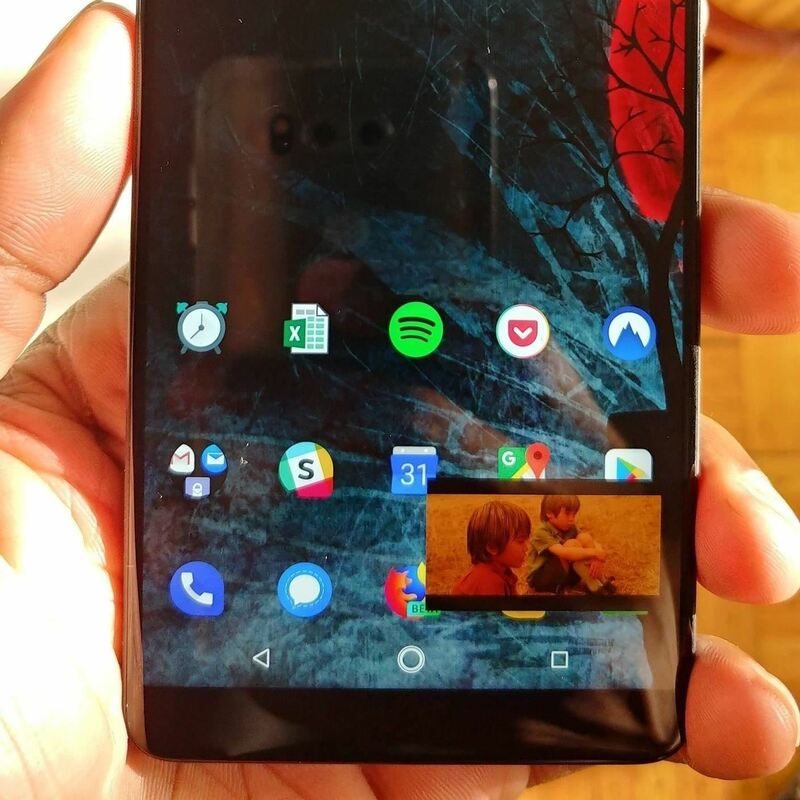 Especially for those with smaller hands, this feature makes using the PH-1's 5.7" display much more manageable. Additionally, third-party app developers can now use an API to monitor the fingerprint scanner for swipes (both vertical and horizontal) to create even more gestures. 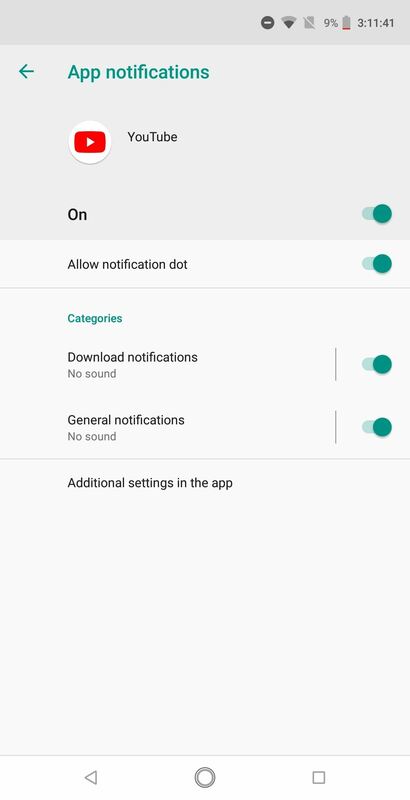 Using a system called Notification Channels, apps can now put their notifications into different categories. This will let you control the visibility and urgency of different types of notifications that come from the same app. Each Channel can be modified with several tools. 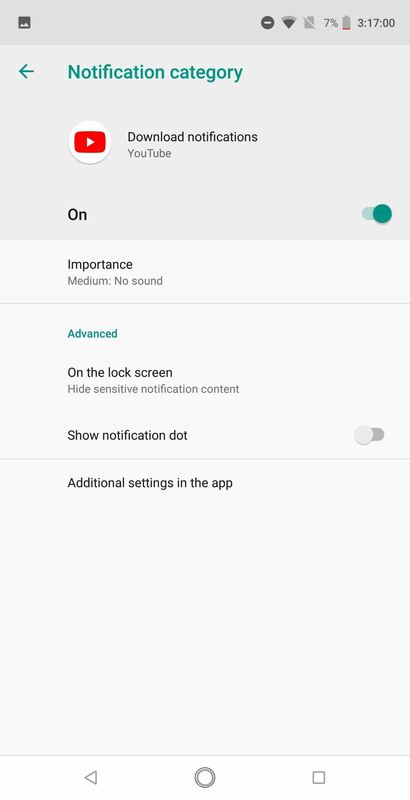 The priority, whether it makes a sound, whether or not it vibrates, if it displays as an icon badge, whether it shows in the lock screen, and if it overrides do not disturb mode. This feature is particularly useful for email clients, as it lets you set different notification importance for your various inboxes if the app supports it. 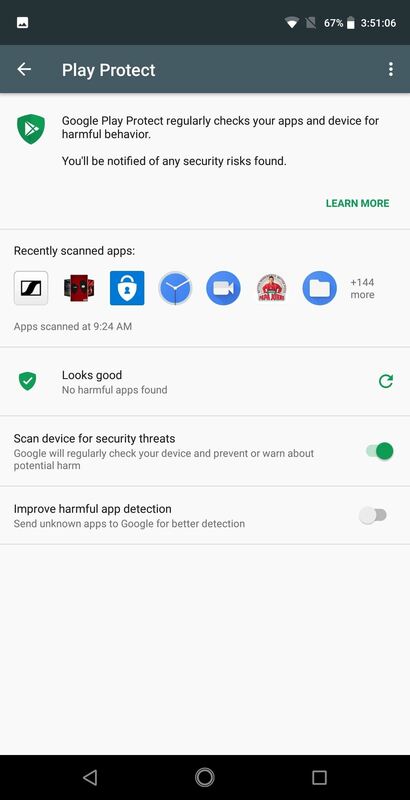 After years of dealing with malware on the Play Store, Google created a new service that will automatically scan apps for any form of malicious code, including malware. This system is called Play Protect, and it even works for apps you sideload. Play Protect is now fully operational in the 8.1 update. Unknown Sources also operates differently. Unlike previous versions where permission to sideload apps was given to all applications when enabled, Android Oreo now requires permission to be granted on a per-app basis. 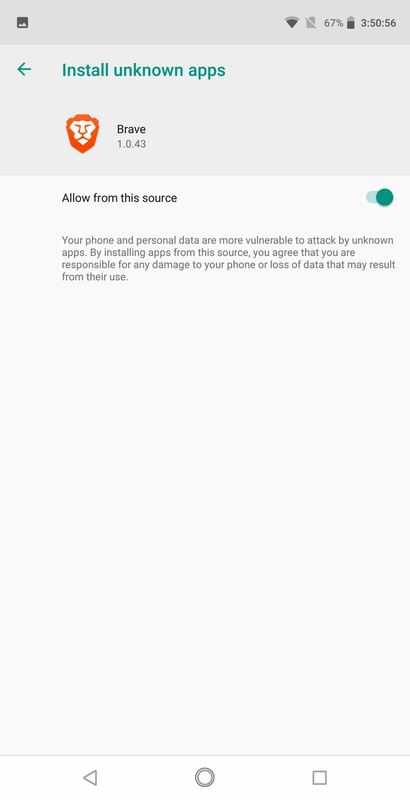 This prevents malicious app from downloading malware onto your device without your permission. Android Oreo also includes "Rollback Protection" in its Verified Boot system. This prevents you from manually re-flashing Nougat on your PH-1 after updating to Oreo, but it's not as bad as it sounds. In the past, if someone were to get access to your phone, they could theoretically flash Nougat and run exploits to bypass your lock screen that have since been patched in Oreo. Now, that's no longer possible. 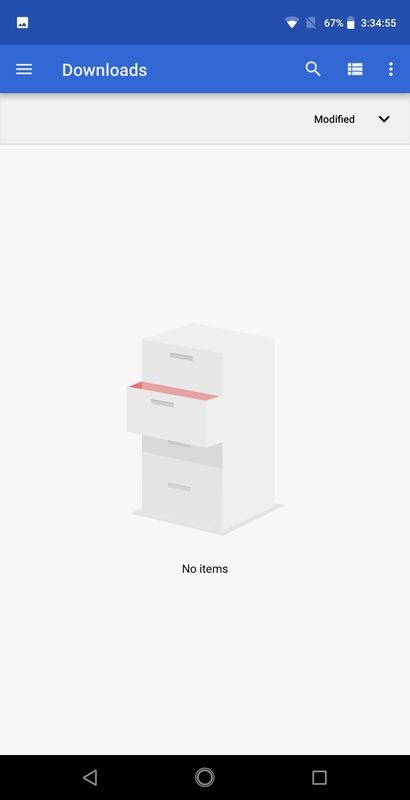 The default File Manager received a new look in Oreo. While it is still limited to the Downloads folder and certain types of media, it is still a formidable choice for those who don't use (or need) a full-featured manager such as FX File Manager. One useful feature is its ability to access your cloud storage, Google Drive. This makes copying and moving files between your local drive and cloud drive much easier. 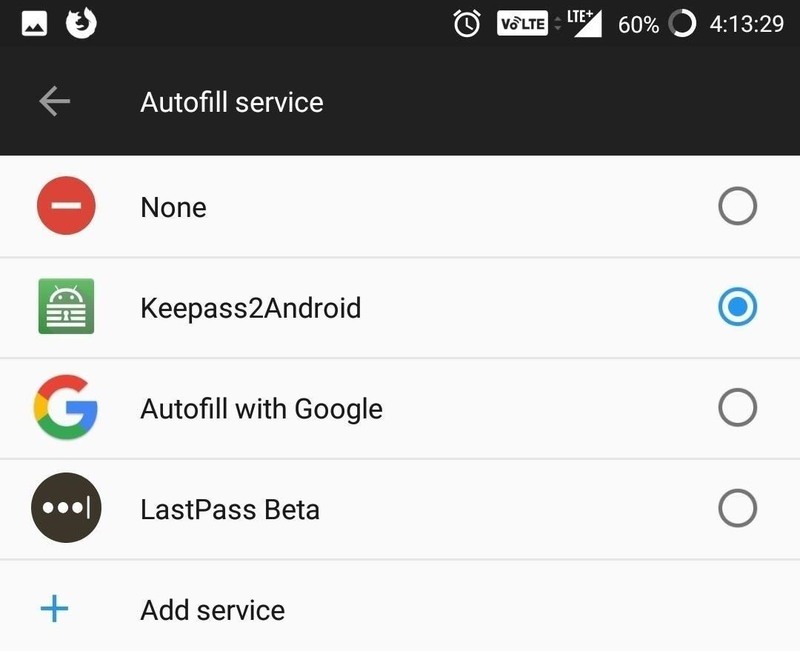 Unlike previous versions of Android which required workarounds, Android Oreo allows Essential users to autofill their login information into an app. By default, this feature uses passwords from your Google account, but all the major password managers currently support the new API. With this new feature, setting up your new Essential is much easier. Once your password manager is downloaded and unlocked, you can quickly log into your favorite app and access your accounts. With the most recent build of Oreo (OPM1.180104.141), Essential users can now control how apps are displayed in landscape. 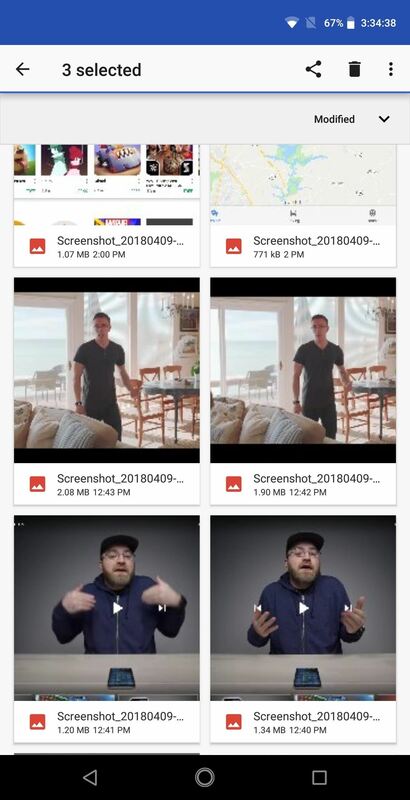 Both videos and apps will now fill out the notch area (if the user chooses) by extending their content into the area instead of hiding the notch with a black bar. For more information about this feature and how to use it, check out the link below. Besides these changes, Essential also improved startup times and increased the speed of app sign-in while updating to the April 2018 security patches. Essential PH-1 is also Bluetooth 5.0 certified and use of external game controller has improved. With the speed of this update, Essential is the third phone to run Android 8.1 Oreo officially, behind Pixel devices and the Nokia 8. 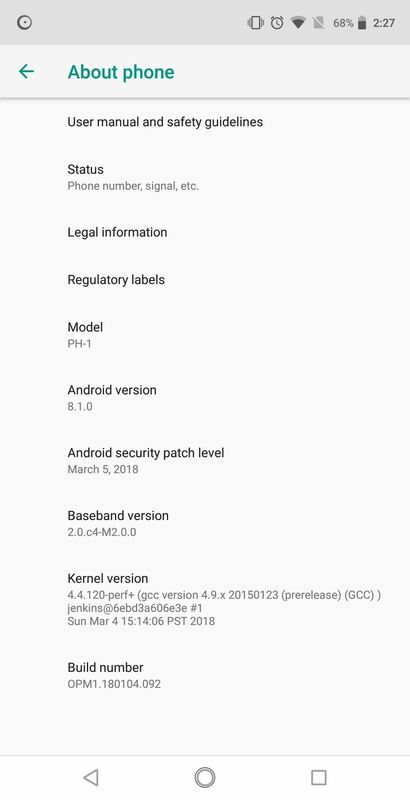 Even the recently launched Samsung Galaxy S9 isn't running Android 8.1 Oreo. What do you think of the new update? Are you excited about the new features? Let us know in the comments below.